consumer collection agency and who supply forms or form letters to be used by the creditor, even though such forms direct the consumer debtor or property tax debtor to make payments directly to the creditor rather than to such fictitious agency. 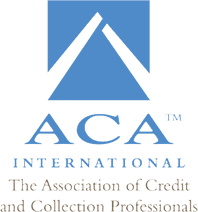 “Consumer collection agency” further includes any person who, in attempting to collect or in collecting such person’s own accounts or claims from a consumer debtor, uses a fictitious name or any name other than such person’s own name which would indicate to the consumer debtor that a third person is collecting or attempting to collect such account or claim. (7) “Property tax debtor” means any natural person or organization who has incurred indebtedness or owes a debt to a municipality due to a levy by such municipality of a property tax. Gov. on or before 6-24-05). (1) “Consumer debtor” means any natural person residing in this state who owes a debt to a creditor. 36a-800, or any department or agency of the United States, this state, any other state, or any political subdivision thereof. (3) “Debt” means an obligation or alleged obligation arising out of a transaction in which the money, property, goods or services which are the subject of the transaction are for personal, family or household purposes, whether or not such obligation has been reduced to judgment. As used in Sections 36a-809-1 to 36-809-5, inclusive, of these regulations: (1) “Commissioner” means the commissioner of banking. (5) “Creditor” has the same meaning as provided in Section 42-127 of the Connecticut General Statutes. (6) “Debt” means any obligation or alleged obligation of a consumer debtor to pay money arising out of a transaction in which the money, property, insurance or services which are the subject of the transaction are primarily for personal, family or household purposes, or arising out of a levy of a personal property tax by a municipality, as defined in Section 42-127 of the Connecticut General Statutes, whether or not such obligation has been reduced to judgment. Conn. Agencies Regs. § 36a-809-3(1), (3)-(6) (West, WESTLAW through 2005 Jan. Reg. Sess. Leg. approved by the Gov. on or before 6-24-05). 645 to 36a-647, inclusive, a “creditor”, as defined in subdivision (3) of section 36a-645; Conn. Gen. Stat. Ann. § 36a-800(1) (West, WESTLAW through 2005 Jan. Reg. Sess. Leg. approved by the Gov. on or before 6-24-05).